Attendees traveled back in time and enjoyed an old-fashioned holiday celebration at the Point San Luis Lighthouse last Saturday. 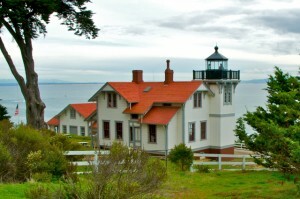 The Lighthouse was trimmed for the season with candles glowing and carolers singing. I have got to get out there…what a beautiful place. It looks like a fun time was had by all. Beautiful job on the restoration and decor. 18 years ago, I gave a self tour of the property and it was in fairly rough shape. The place looks awesome now – what a treasure for the community!